My Best and Most Treasured Service! Receive bi-daily emails with unique commentary on the current astrological outlook. Also 10% discount off personal readings. Videos on all the Zodiac Signs Here! Private Astrology Lessons. Full Course. Using this high-tech astrology, we can understand ourselves and others better. Our relationships improve beyond measure as we understand the dynamics more. We get new meaning to life and this can make us happier, fulfilled and more content. Alison is able to understand or `get to the bottom of` complex and painful situations, and as she does so, the pain melts away, being replaced by understanding and meaning. It is an uncanny and magical process. Another great benefit is self development, for Alison looks deep within the soul, uncovering potential and revealing hidden meanings that make so much sense. We can really make the best of ourselves if you know all about our inner and hidden world. Hopelessness is replaced by a profound knowledge, enlightenment and self awareness. You are truly empowered, often with a big release of painful issues. A client said "A massive thank you for your wisdom and advice, I feel different - healed, empowered, at peace" Read more of what people say here. CONSULTATIONS are by SKYPE anywhere in the world. Talk on one device whilst recording with your phone next to it. Alison Chester-Lambert is the resident astrologer on BBC TV's DAILY POLITICS SHOW and is a regular contributor to the UK's Daily Mail Online. She has numerous American TV and BBC radio credits and has had columns in all the top astrology and spiritual magazines including Soul and Spirit. 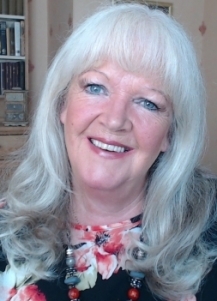 Findhorn Press (now Inner Traditions) have published three of her books and she runs an astrology web site in the UK - see Midlands School of Astrology. Alison is a highly qualified astrologer, with a Masters Degree in cultural astronomy and astrology. Psychological perspectives were part of the curriculum. To Like her Facebook Page CLICK HERE. There is no doubt about it, relationships can make us feel awful. They can exagerate our low self-esteem and add to our sense of being unlovable. And why do we so often pick the `wrong` one? Why does it all have to hurt so? Well thankfully, all these issues can be resolved during a psychological astrology session with Alison. Using the birth dates of both people, it is possible to unpack all the issues and understand everything at a deeper level. You can get a clear grasp of the thoughts and feelings of the beloved and why there are problems. You can also learn how to handle them better, so there can be more compassion and patience. But also it may be about seeing them through a different perpective and seeing why you would be better apart. If this is the case, then it is also about feeling good about that and letting go for the right reasons and with less destructive angst and pain. Parting doesn't have to be the end, it can be the beginning. Have a session and see? Having trouble getting your business off the ground? It is amazing how astropsychology can point out the things that regular business coaching can't see. The birth chart shows exactly what approach you should use and the best way to make the most of your hidden opportunities and assets. Alison is able to help clients achieve a clear and practical business plan based on ideas that they confess they could never have thought of themselves. As the chairwoman of a local business networking group anyway, Alison has a proven track record of success with others and with her own business. You wouldn't be reading this otherwise! Astrology can help us to understand the inner world of those who cannot communicate. This is because the birth chart can describe the basic motivations, likes, dislikes and desires of the person. This can help identify what will grab their attention or what makes them feel most comfortable. How will this help? Because knowing how to attract their attention or switch them on will open a window into their world. It enables a shared moment, or perhaps a rare exchange. And as any therapist in this field will tell you, find out what gets their attention and develop that for the best results. But it also makes a mother feel better. It gives you something of your baby. Understanding can be the greatest gift to the troubled mind. How many times have you exclaimed "If only I could understand him/her! If only I knew what was going on in their world."? 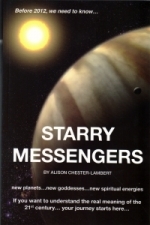 For information and articles on the Dwarf Planets of the Kuiper Belt and other original astrological research CLICK HERE This will take you to Alison's astrology website. How Do You Organise a Consultation if You Do Not Live in the UK? Alison does Skype readings all over the world and the call is FREE to you. You can record the session on your phone if we talk on a separate device. You simply go to this page to make a booking, then pay on the pay page on this site. Alison will then call you at the arranged time. Easy! It will take up to 90 minutes. Alison likes to be thorough and cover everything without a time restriction. So allow at least one and a half hours. What is a Consultation Like? It is actually like a friendly discussion about your life and your issues. Alison's readings are done in a positive light, and she believes that by doing so we draw positive things to us, and get the best out of our opportunities. Will You Learn About Your Relationships? Most definitely. If there is no romance in your life, and you would like there to be, Alison can describe the sort of qualities they might have or would best suit you, and when and where you might meet him/her. If you have met someone, and you want to know more about them and any issues you might have, Alison can help you with this. Perhaps things aren't going so well and you would like to know how to understand and improve things. If you understand when challenges are likely to arise, you can manage them to get the best out of the situation. Family and personal relationships can be improved dramatically. You can learn WHY they seem to irritate, and what could be done to improve this. You will become more patient and understanding as a result. Will You Learn About Yourself? Will it Help to Heal Pain? Almost definitely. One thing that clients mention again and again is how healing the session was. Many believe that spiritual healing accompanies the enlightenment and empowering self awareness. No one can say if an absent loved one will return, and don't believe them if this is what they offer. That is down to the loved one's free will and often we have to accept that they are free to be. However, Alison can help you understand why they left and often restore your confidence and belief in your future. No. Alison does not engage in scary predictions of doom and gloom! Every cloud has a silver lining, and as one window closes, a door always opens. We just need someone to help us look for the silver and the door sometimes. This type of life coaching or counselling is more revealing and life changing than other types of counselling. So it works out much cheaper. Just one session is all you need for a whole year!